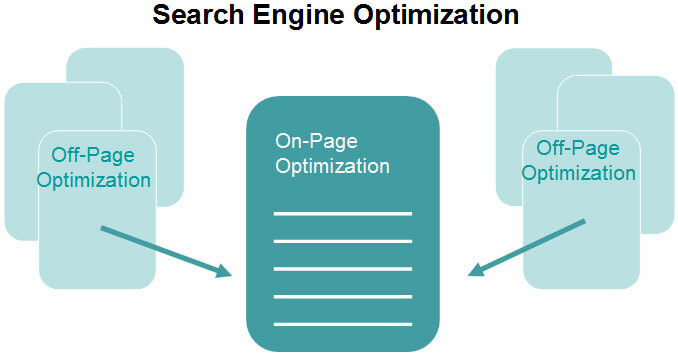 On-page optimization is maximizing the factors that you can do and control with your own web site so that it gets high ranking in the search engines. Simple things such as site coding, the layout and display of your web site, and site architecture and navigation. On-page optimization is a very important part of SEO, some might even say fundamental. Without solid on-page optimization, your backlinking will be for naught as Google places high importance on your web site’s structure and coding, and if it determines that your web site isn’t what it’s suppose to be, then the backlink and other off-site factors are wasted. You can still gain some ranking from a good backlinking campaign, but it won’t be at its best because of a lack of solid on-page factors. It surprises us still that so, so many people still take on-page optimization for granted. They think that a fancy website design, along with fancy, awesome images arranged perfectly on the main page is more than enough to grab people’s attention and lure more visitors. It’s a thinking that’s quite similar to how you would run a print ad campaign, or something like a movie poster. You hope that the images used is strong enough to convey a certain feeling or connection to the viewer and grab their attention. Or, they make their web site easy to navigate, with proper internal links and relevant content spread throughout the site. However, all of this is for nothing if they do not understand proper on-page optimization. No, fancy websites in flash is not the answer (in fact, flash is completely useless. We have already explained this earlier). No, properly designed web sites with a lot of good, well-informed content is not the sole answer. Though it is very important to have great content and a proper design for your web site, if you do not take care of your coding, keyword density and other, more crucial on-page factors, your web site is not going to get high ranking. Therefore it is very important that you have an understanding of the important on-page factors so you can get excellent on-page leverage. That is, if you manage your on-page factors well, then your backlinking efforts will get multiplied! This is what we call on-page leverage: on-page leverage is, quite simply, all about maximising your on-page factors so that you rank considerably higher compared to another site with less than perfect on page optimization, even though that site may have more backlinks. Understanding of proper on-page leverage is very crucial to optimizing your website. You may have a successful backlinking campaign running for your site, but if you do not have the proper on-page factors taken care of, then your site is actually going to lose out to another site that has less backlinks but which has excellent on-page factors. We certainly don’t want that to happen! To elaborate further, consider that one SEO company (let’s call them Business A) spends a lot of its money and time on building two backlink campaigns, right from the get go, for its client, while another SEO company (let’s call them Business B) spends its time first dedicated to fixing and innovating the on-page factors of its client’s site. Later on this SEO company will conduct one backlink campaign for their client, but for now the focus is on getting on-page optimization. Business A later finds that, despite all of the money and resources spent on building two excellent backlink campaigns, their client’s site is losing to Business B’s client’s site, even though Business B has only one backlink campaign. B also spent less money and resources compared with Business A, yet their client’s site is gaining ground on the search engine rankings, overtaking Business A’s client in the process. This is the power of on-page leverage. When you optimize your on-page factors, and then build an effective backlink campaign, you are going to see your efforts and results at building backlinks get multiplied, and for less money and resources. www.keyword.com. However, what if the domain name is no longer available? Then it is better to have www.keywordSuffix.com than www.Prefixkeyword.com. Which domain name should you pick? You should go with www.buyhandsoapnow.com, as using a suffix is better than using a prefix in the domain name to get on-page leverage because your keyword is at the front of the domain name. and https://www.buyhandsoapnow.com/06/2009/?p=8792.html Which one would be more meaningful to search engines? The first link is more meaningful. The second link is a bunch of text and numbers link which is meaningless to search engines. Make sure that your keyword is in your URL. Why is it important to have your keyword in your title tag? If you do a search for any keyword on the search engines, you will see that the keyword appears on more than 75% of the title of the top ten search results. This is a very important factor that you cannot miss as it has a close correlation to Google’s top results. This will not only look very unnatural to your readers, but it is also keyword spamming, which is a no-no for SEO. of your page document. This is because it is usually the introduction and conclusion/summary of the document that tells what the page is about. Having your keyword in the first and last sentence helps to describe your web site to the search engines and lets them know what your page is all about. This in turn helps you get on-page leverage. Keyword Density. There is no hard and fast rule to keyword density, which is the percentage of times that your keyword appears on the web page compared to the total number of words on the page. However, as a guideline, less than 2% of keyword density is too little while keyword density of more than 5% is too Therefore, the best keyword density range is 2% to 5%. There are 2 factors at work for on-page leverage here: one is the ALT Tag, the other being the file name. Say the keyword is Kung Fu again. As you would have guessed, the text for the alt tag contains the keyword, and the file name also has the keyword in it as well. Content The longer the document, the more useful information it normally contains. Search engines love longer documents more than short ones. However, do not blindly lengthen a document just for the sake of on-page leverage, especially either through keyword stuffing or repetition of content. If you find that your document is a tad on the short side, include useful examples or more elaborations. What this means is that if your document length is less than a certain amount of words, you might even get a penalty. Have BOLD, Italic and Underline Google has publicly said that it looks at the font decoration on every text that appears on a document. This helps it to decide what the document is all about. You see, Google does not read an entire document as normal text only. It takes into consideration the size, decorations, colour, subdivisions and the exact location of each word and their proximity when determining the ranking of a page. On your page, you should have your keyword bolded, italized and underlined at least once. If you have a page with 100 words, at 3% keyword density you should have 3 occurrences of the keyword. This is enough to have at least 1 keyword decorated bold, italic and/or underline. Your Web Site is Not a Junk Directory – Remove all unrelated and junk links. You have complete control over your web site’s outbound links. If you point a backlink to some link farm, your page ranking is definitely going to be affected in a bad way. You will also want to add nofollow tags to your links to guard yourself against any bad linking neighborhood. In fact, it’s a good idea actually to add nofollow tags to all your external links. Having fully optimized your on-page factors, you stand a greater chance to rank well in search engines. Your site will rank better, faster and easier. In conclusion, Google tracks more than 200 signals and we don’t know all of them. What we CAN do, is to do our best with the knowledge and tools we have. We have shared with you here some of our major tweaks to gain on-page leverage, so you can use them for your site.